Last of Four Siblings Killed on Street. What’s Your Reaction? 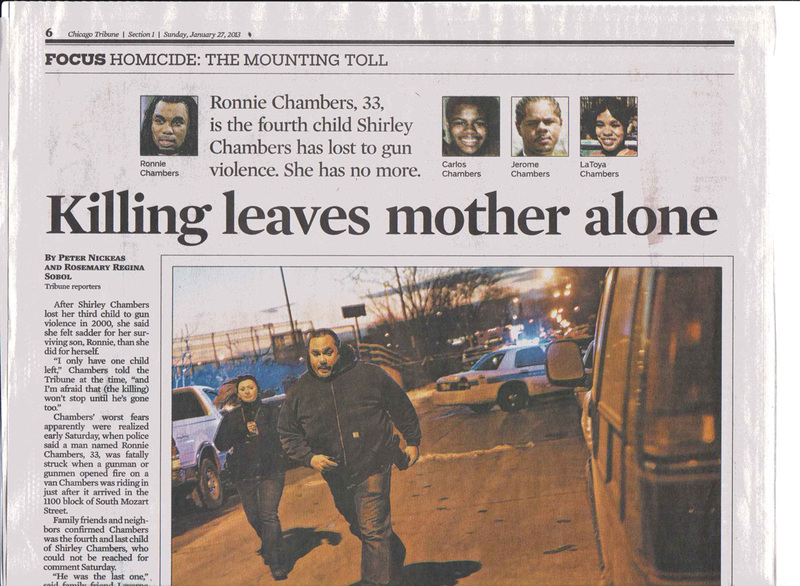 As I browsed my Sunday Chicago Tribune this article stared me in the face. Every one of these kids had been part of the tutoring program that operated at at the Montgomery Ward Corporate HQ in Chicago since 1975, or the Cabrini-Green Tutoring Programs that took the place of the Wards program in 1990. Or Cabrini Connections, which I formed with the help of seven other volunteers in 1993. These programs were non-school, volunteer-based. That means kids went home from school then had to come to the tutoring center on Chicago Ave after 5pm. Once they showed a commitment to participate they had to attend at least 3 or every 4 weeks to stay involved. We had the same requirements of volunteers who came from a variety of different companies in Chicago. Ronnie and his siblings participated when they were in elementary school and we tried to get them to participate in Cabrini Connections when it started in 1993. Carlos was beginning to participate when he was killed in 1995. Ronnie was not interested at all. Just motivating older youth to participate regularly for 3 to 6 consecutive years is a huge challenge. It does not happen without a considerable effort on the part of program leaders. By 1992 the original tutoring program and the Cabrini-Green Tutoring Program had over 440 k-8 youth involved along with 550 volunteers. When I and six other volunteers formed Cabrini Connections in the fall of 1992 we had five 7th, 8th and 9th graders. By 1998 nearly 100 teens were participating regularly. From 2000 to 2012 the enrollment capped at 80 teens due to lack of space. By the time Carlos was killed in 1995 I already knew from the Tutor/Mentor Connection (T/MC) maps that there are too few programs in most parts of Chicago. I knew from my own fund raising efforts how frustrating it is to try to get consistent, flexible operating dollars for these programs. 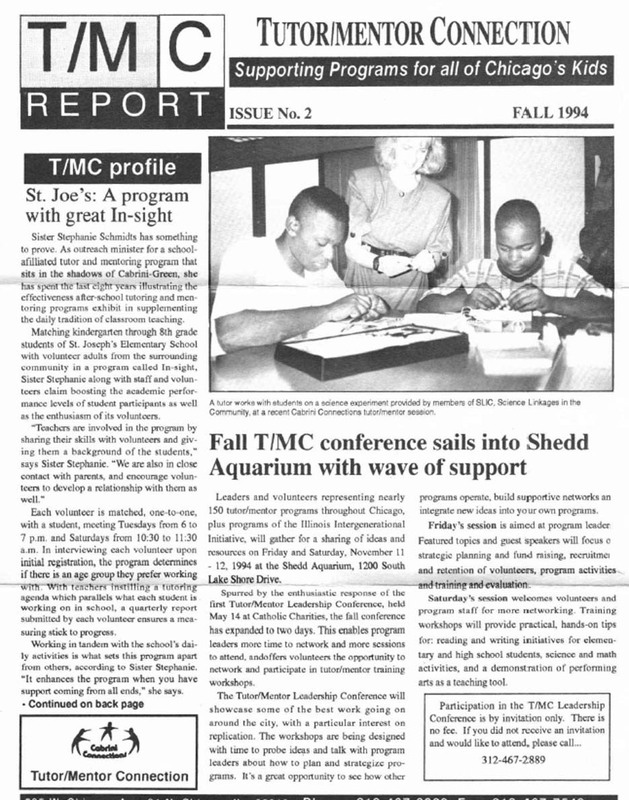 I created the T/MC in 1993 to try to bring people together and create advertising-type visibility that would draw support to all programs in the city. I've never been able to get significant support for this ideas. I created the Tutor/Mentor Institute, LLC in 2011 to try to keep this going. 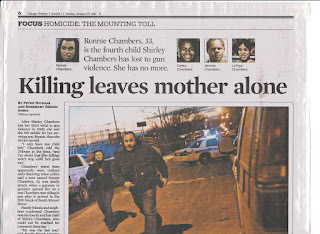 After Carlos was killed, I wrote this letter which was printed in the Chicago Tribune. 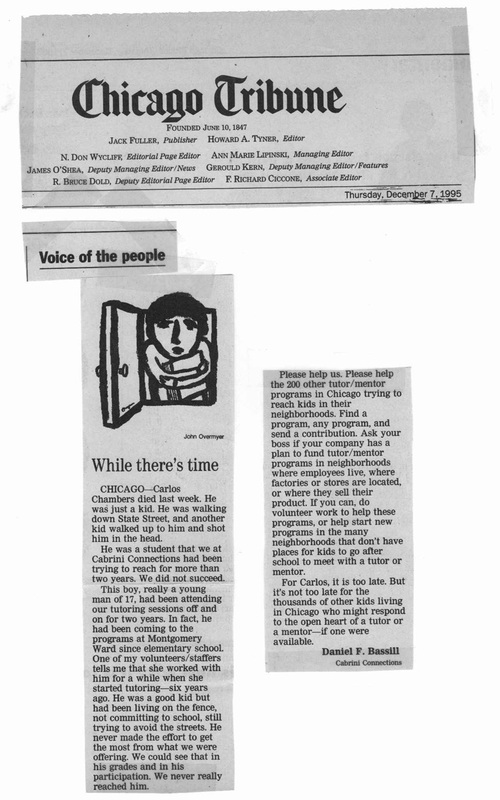 In this letter I appealed to people who were reading about these tragedies to provide the consistent support I and others leading tutor/mentor programs in Chicago needed to have more power to attract kids like Ronnie and Carlos and to keep them involved long enough for the program to make a difference. What others were saying at the conference and in other forums that I have participated in for many years, “it works for some kids” and “it works if resources are consistently applied for many years”. We need to define the many different young people and adults who are targets for mentoring, then define what “success means” for each group. I contend that success for kids coming from high poverty neighborhoods with the type of violence Chicago has, mentoring works when kids are in college and jobs, and have a much broader adult support system to help them with their adult lives, as a result of the programs they participate in from elementary school on. I see an awful lot of people aiming for public dollars when states like Illinois are almost bankrupt. Thus, I look for people who will “Think Retail” as the Chairman of MENTOR’s board of directors said in his opening remarks, and who will try to build a virtual corporate office that supports high quality mentoring, tutoring, arts, technology and jobs programs operating in thousands of high poverty neighborhoods. As we do this I feel there is a tremendous potential to reach out to alumni of various mentoring and tutoring programs who are now working in their own careers and raising their own kids, as well as volunteers who have had their own lives transformed by their participation in these programs. There is an Army out there that is not being mobilized. The Chambers family does not have any more kids to give to street violence and inner city poverty, yet many other families will continue to bleed their youth out on the streets and in under motivating classrooms unless more people step back and look for massive systems changes in terms of how we fund programs, where we get talent to lead them, how we keep talent in place for decades, how we learn from each other so we constantly improve, and how we use the Internet to engage, share ideas, and create a massive, on-going advertising campaign that motivates people to support youth programs all over the country with the same generosity that comes after major natural disasters. 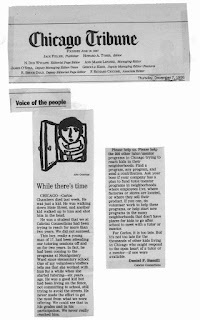 I’ll keep reaching out on social media to young people and adults who I’ve met since 1975 in my role of leader of a tutor/mentor program, and to people who lead other programs in Chicago and other cities, as well as to those in business, philanthropy, government and religion who have the same anguish as I do when I open the paper and see bad news. Mentor Summit Workshops. Take a Look. Yesterday I posted an article with some quotes made by mentoring leaders at last week’s National Mentoring Summit. I also posted a map showing people I met. 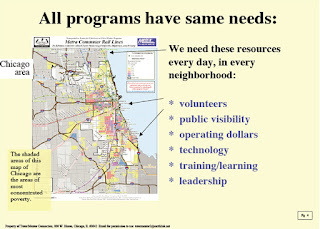 I do this to draw attention to the need for operating resources and to try to connect with others who will add their time, talent and dollars to building a year-round public attention and resource generation strategy that supports tutor/mentor programs in every neighborhood of Chicago and every city with flexible, constantly flowing operating and innovation resources. I was able to attend only one workshop in each time frame out of six or seven offered. Thus, unless others are sharing their reflections from the workshops they attended, most of us will only benefit from a fraction of the ideas shared. I’ve been part of an Education Technology MOOC since Jan 13, in which more than 1600 people are sharing ideas with each other. My hope is that on-line learning events like this can grow in the youth development, mentoring, tutoring fields. All of the workshops I attended were full of value. Visit this page on the MENTOR website for workshop descriptions, downloads of handouts, and bios of all speakers. One workshop and one keynote offered a unique new perspective on mentoring opportunities. The workshop was The Rudd Adoption Mentoring Partnership at the University of Massachusetts Amherst. Renee Moss and Jocelyn Nelson of Big Brothers Big Sisters of Hampshire County, MA and Dr. Harold Grotevant and Jen Dolan from the university, described a mentoring partnership in which college students who had been adopted were matched with middle and high school students who had been adopted. This project focused on a specific population of special needs youth, matched with college mentors who had the same life experience (adoption) and who met the BBBS stringent guidelines for match compatibility. Dr. Grotevant provided an overview of some of the issues adopted youth face that only others who have been adopted themselves can really understand. Today he sent an email with links to two presentations that tell more about this unique program. 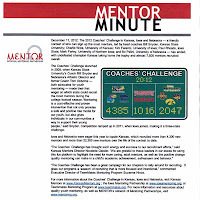 Mentoring Partnership PDF and PPT of presentation from Summit. A couple of highlights: The university gave class credit to the mentors, who were required to participate in bi-weekly feedback sessions. Thus there was tremendous coaching provided by the university. Dr. Grotevant reported that the unique program has begun to attract students to the university who have an adoption background. Renee Moss, the BBBS leader, has been in her role for 27 years! We need to find ways to encourage this depth of experience in thousands of programs. A needed research project might develop information showing tenure of leaders and staff of tutor/mentor programs. The second special needs program was Eye to Eye, a mentoring program focusing on LD/ADHD youth, which was featured during the Friday lunch time session. This project matches college and adult mentors who have overcome learning disabilities with LD/ADHD youth still in middle school and high school. Visit the web site and see how volunteers serve as Think Different Diplomats to share this program with others. As with the adoption model, the mentor having the same experience as the mentee was the basis of the match, and the population served cuts all economic levels. Neither of these programs focus primarily on youth living in poverty. I would expect both models to expand rapidly since affluent parents of adopted or ADHD youth will be more than willing to provide personal philanthropy and fund raising leadership to make such programs available to their own kids. The second morning workshop that I attended was titled: NYC Mentoring Investment – The Young Men’s Initiative Click here to view workshop description and down load power point presentation. The most impressive thing about this initiative is the number of organizations involved and the huge financial commitment behind the initiative. The New York City public school population is close to 1 million and the number of youth at risk of drop out in New York City is huge – 532,434! I've written in the past about the unique challenges of big cities with school-age populations over 100,000 youth. One of the partners in the Young Men’s Initiative, is the department of Probation, which operates the Neighborhood opportunity networks (NeON) among other programs. I would like to have seen a use of maps in this initiative, to show where the drop out problem is concentrated, and to support marketing efforts aimed at building a flow of needed operating resources, volunteers, ideas, etc. to all of these neighborhoods, and all of the partners in the initiative. I wrote about this in an article last month. Since I’ve wanted to unleash the power of coaches and athletes to mobilize volunteers and dollars to support tutor/mentor programs in all part of the Chicago region, this was a workshop that I really wanted to attend. 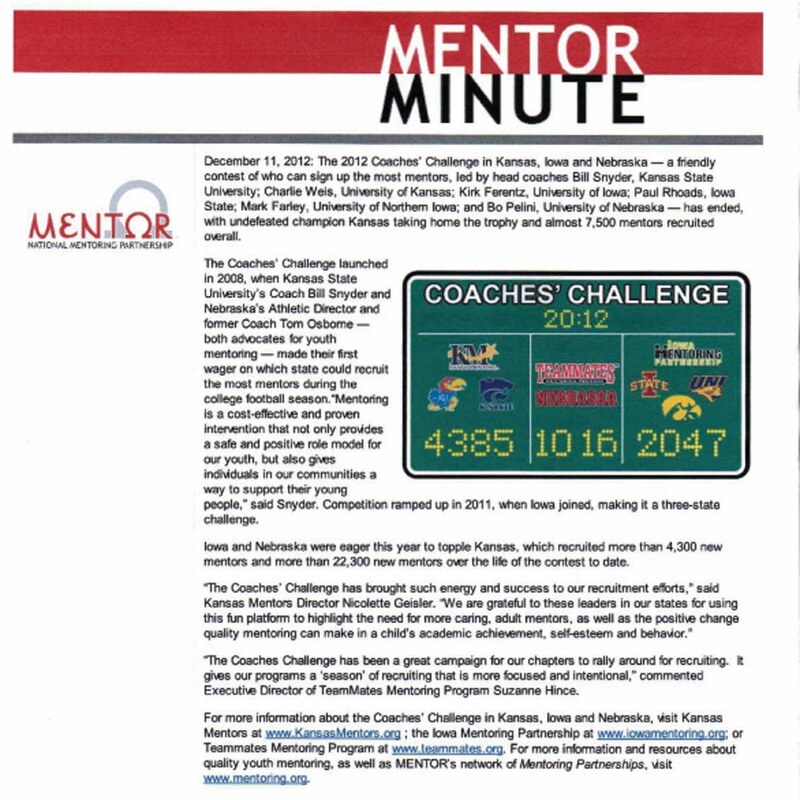 Mentoring network leaders from Iowa (Sarah Hinzman and Chad Driscoll), Kansas (Nicolette Geisler) and Nebraska (Suzanne Hince) described how head football coaches at Iowa, Iowa State, Kansas, Kansas State and Nebraska were leading a competition to see which state could recruit the most mentors between September and December. The planning was broken down to “pre season” “game day” and “post game” with lots of information on the web site. See details here and here. A lot of work goes into this and the mentor leaders deserve a lot of credit. They did a great job of showing the challenges of working with high profile coaches and universities. This puts a bit of a damper on my own hopes because 99% of the work comes from the Mentor Partnerships while the coaches and universities lend their names and get credit for the good will generated. I’m idealistic. I want coaches and other leaders to spend quality time trying to make mentoring and tutoring available, just as other volunteers do. If we do all the work for them, the commitment is not really there, nor are we benefiting from the talent and creativity these leaders might apply to building tutor/mentor infrastructure in their cities and states. I don’t have the manpower, or brain power, to do all of the thinking that is needed to ensure the coach’s involvement has the desired impact. Will need partners to help with this. On Friday morning I attended a workshop titled Recruiting Policy Advocates to Support Inspiring Program Innovations. An Urgent Call. This was probably the most valuable workshop of all that I attended. Why? The facilitator was Janet Forbush, a consultant supporting mentor program growth. We’re both part of the mentoring email list hosted by Dr. David DuBois of UIC. Janet set the stage for the workshop when she said: “You can’t run mentoring programs without money” as part of the introduction to this workshop. That’s my own view and the efforts I’ve led for past 20 years have attempted to increase the flow operating resources to all tutor/mentor programs in the city. Trudy Perkins, Office of Congressman Elijah Cummings, MD, was the first speaker on this panel, and provided valuable insight for reaching out to elected officials. I’ve not been very effective in this myself. Heather Harvison, founder of My Sister’s Circle, , described a girls mentoring program that she formed in 2000. I appreciated this program because it focuses on helping girls from 5th grade through high school and college, and keeping volunteers involved for all seven years. In addition, Heather has been reaching out to build networks with other tutor/mentor programs in Baltimore, similar to my efforts in Chicago since 1976. I think that there is too little effort to determine the different types of mentoring programs in each city, based on who they serve, and based on how broad-based and long-term their support of young people extends. Conference speakers said “MENTORING Absolutely Works” but they did not say what that means or that it works when programs are able to support youth and volunteers effectively and sustain youth and volunteer involvement for multiple years. 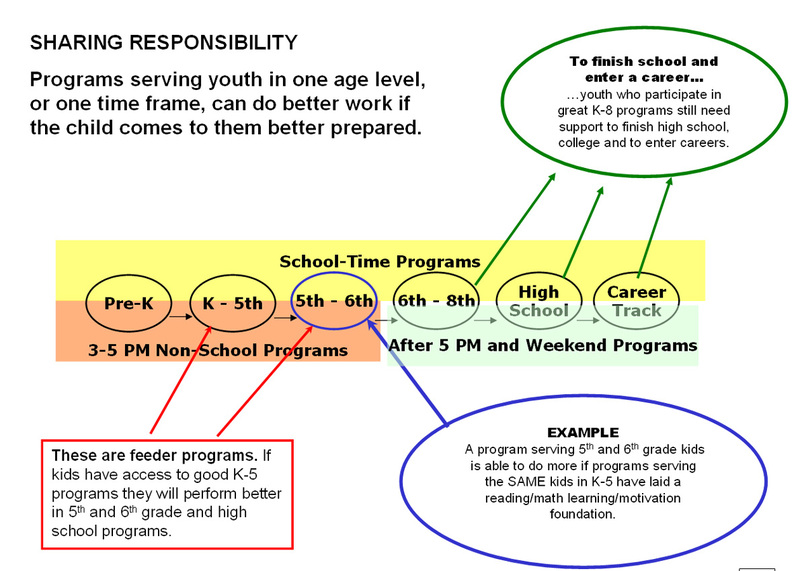 In the rush for “numbers” many programs are not designed to keep youth involved for multiple years. 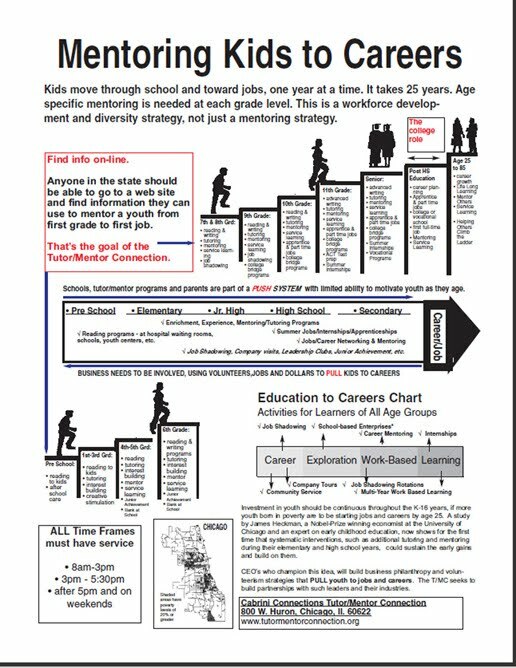 I’ve been trying to build a distinction between different types of tutoring and/or mentoring programs in Chicago since 1993, but never have had the resources to go beyond creating a database of providers which breaks down by age served and type of program. See http://www.tutormentorprogramlocator.net Connecting with leaders like Heather who also are trying to build a connection with peers, is one step toward gaining more attention and support for this intermediary role. The final member of the panel was Lynn Sherman, Baptist Health Center in Jacksonville, Fl. Lynn described the Tipping the Scale mentoring program lead by the hospital with partnership from a local CBO. It includes a mentoring and a workforce development component. This program seems very similar to the programs in the Hospital Youth Mentoring Partnership network, which I connected with in late 1999. Members of the network attended one of the T/MC conferences in 2000 and I was a speaker of a HYMP conference in Baltimore in 2001. As it turns out, Lynn also attended that conference! 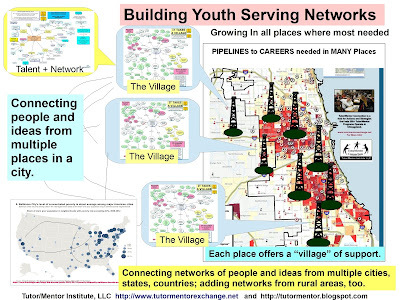 I’ve written many articles on the role hospitals can take in building networks of mentor-rich programs in their trade area, but have failed to find a champion who would rebuild the HYMP and expand its focus to one of community network builder from just innovative mentor program operator. This article describes the partnership and the program at Vanderbilt Medical Center. 2001 Hospital Youth Mentoring Partnership Conference and list of member hospitals. My vision of hospitals in intermediary roles, supporting the growth of tutor/mentor programs in their community. I've written about this often since 2005. The final workshop I was able to attend on Friday before heading to the airport was one focused on Mentoring Central, an on-line training resource that can be used to provide pre-match training to new volunteers. Mentoring Central includes research-based, pre-match blended learning mentor training curriculum; post-match Web-based mentor training on special topics; post-match mentor support resources; and many tools to support mentoring program staff. I was impressed with the creativity and quality of the training modules that were shown during the workshop. Visit this link to see other workshops I attended and people I connected with. 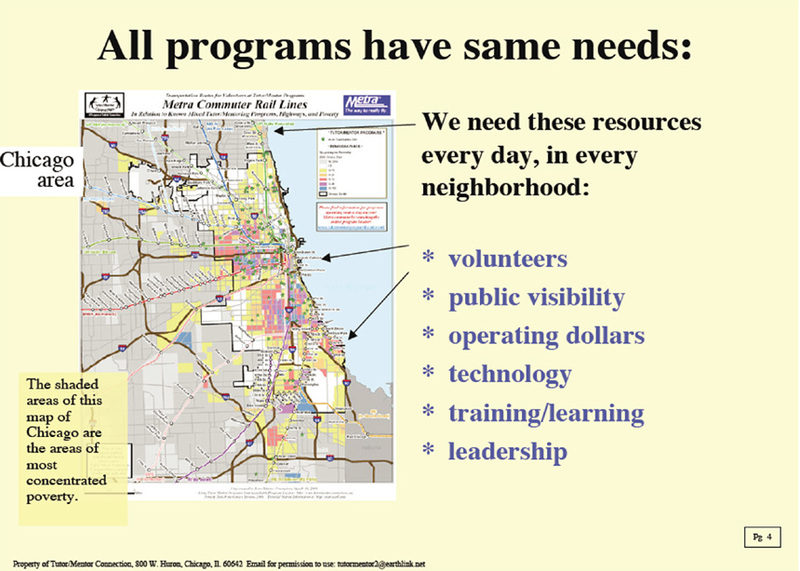 Summary: For the past 20 years I’ve built a database of Chicago area tutor/mentor programs and a web library with links to research, editorials, programs in other cities, “how to” info, etc. 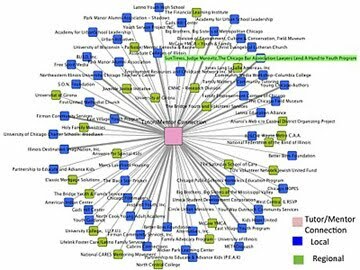 Through the Internet I attempt to connect with representatives of these organizations with a goal of getting help in maintaining the library, and in building public will needed to support tutor/mentor programs in thousands of locations with public and private dollars and volunteer talent. I have hosted a Tutor/Mentor Leadership and Networking Conference in Chicago every six months with invitations to those in my network to come and share their own ideas and build relationships with others who they may not know. There are dozens of conferences and events around the country that have workshops and speakers with equal value to the MENTOR Summit. Due to financial restraints I’ve never been able to participate in many of these. While I try to get to as many events in Chicago as I can, I’m so committed to connecting people who attend these conferences via the Internet because with more the 650 attendees, no one is able to connect with more than a few other participants. This Forbes article was in my email today. It talks about the need to support the program infrastructure connecting many different programs in efforts to help young people succeed in school and life. The Tutor/Mentor conference in Chicago in May/June and November is part of an on-going effort to build a collective commitment that supports tutor/mentor programs in all high poverty neighborhoods of the Chicago region. It will be held on June 7 and I hope some of you will help recruit speakers and workshop speakers, as well as a few sponsors. However, the next opportunity we have to connect and share ideas is today, tomorrow and any time you’re motivated to reach out to me on Facebook, Linked In, Twitter, Skype or via email or the traditional telephone. I spent last Thursday and Friday at the National Mentoring Summit in Washington, DC. In this week’s blog articles I’ll try to share some of the ideas and resources that I connected with. The “theme of the Summit was “Mentoring Works” and David Shapiro, CEO of Mentor was the first speaker to reinforce that message. Below are quotes from David and others who spoke over the two days. I tried to Tweet some of these as I listened. I’m sure others were doing the same. If you attended the Summit, I invite you to post comments below to add quotes you were inspired by, or point to your own blog articles where you have posted your own comments. Omarina, Cabrera, Student at Brooks Academy (was mentee at Middle School 244, Bronx, NY, when in 7th grade. Watch American Graduate Video featuring Omarina. We need to become “Insider traders for social good.” Use knowledge of what works to expand impact. Eric announced the Peace First Prize, a “Nobel Prize” for youth leadership. I'm sure there were many other great quotes from all the different speakers. These are what I captured in my notes. I think they are enough to inspire us in efforts that mobilize resources and talent needed to support volunteer based tutoring and/or mentoring programs in high poverty areas, as in special need populations. All of these speakers and many others talked about the power of mentoring and the need for resources to support mentoring in many places. My next article will introduce you to some of the workshops I attended. My final article will post reflections on what this all means and what the next steps should be in 2013. 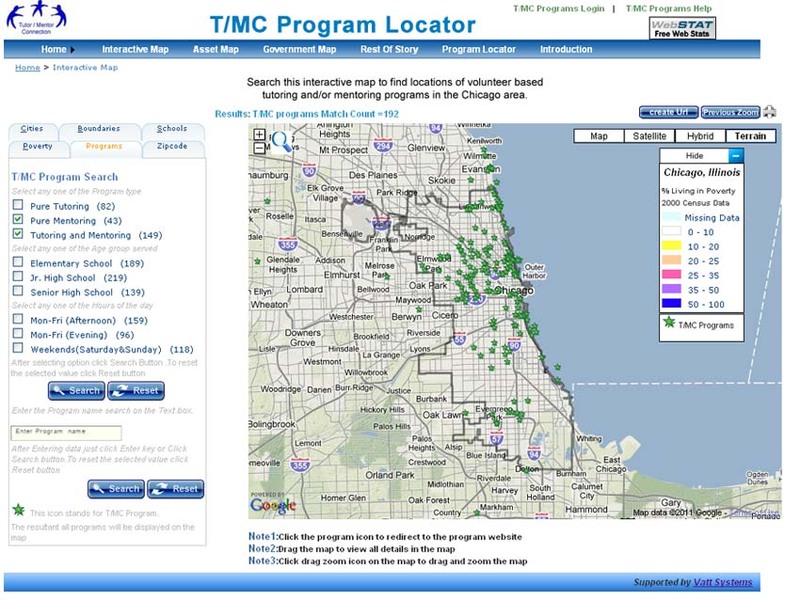 If you want to help young people in Chicago, browse the maps on the Chicago Tutor/Mentor Program Locator and look for tutor/mentor programs near where you live or work. Offer your time, talent and dollars to help each program move from what they are today to becoming the best in the world at helping young people find their own paths to positive futures. Browse the Tutor/Mentor Institute, LLC web site for more ideas on where and how you can become involved, including offering your support to the Institute so it can continue its intermediary role. How to keep stakeholders involved for many years. 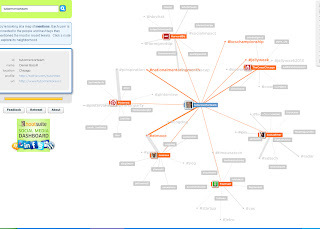 I posted this article yesterday showing how I think events like #ETMOOC can provide a learning process connecting authors of books in a library, or links in a web library. Today, I’m headed out to Washington, DC for the Mentor Summit, but wanted to post this follow up. While natural disasters like the Tsunami, Hurricane Katrina and the earthquake in Haiti motivate millions of dollars in disaster relief, after a while the attention turns to another tragedy, and the donations dwindle. Yet the work of rebuilding still needs to continue. Sean Penn, a famous actor, is still on the ground working to re-build Haiti. Visit this web site to see how he is “keeping the spotlight on Haiti”. Every day the media remind us of urban tragedies, but few leaders are making enough of a commitment to bring needed resources to ALL of the high neighborhoods where poverty is a root-cause of violence and mentoring is a strategy that can help young people choose not to be part of the drop out crisis and culture of violence. Thus, while yesterday I talked about how we need to connect all of the people in the movement with each other, and with ideas that can be used to constantly improve and finance their efforts, today I want to stimulate thinking about “ways to keep the attention focused” on a continuous way….the way corporate advertising keeps attention focused on their stores, products and services every day. Thus, as we talk about MOOCs, let’s think of who we need to get into the learning network and how we keep them engaged. 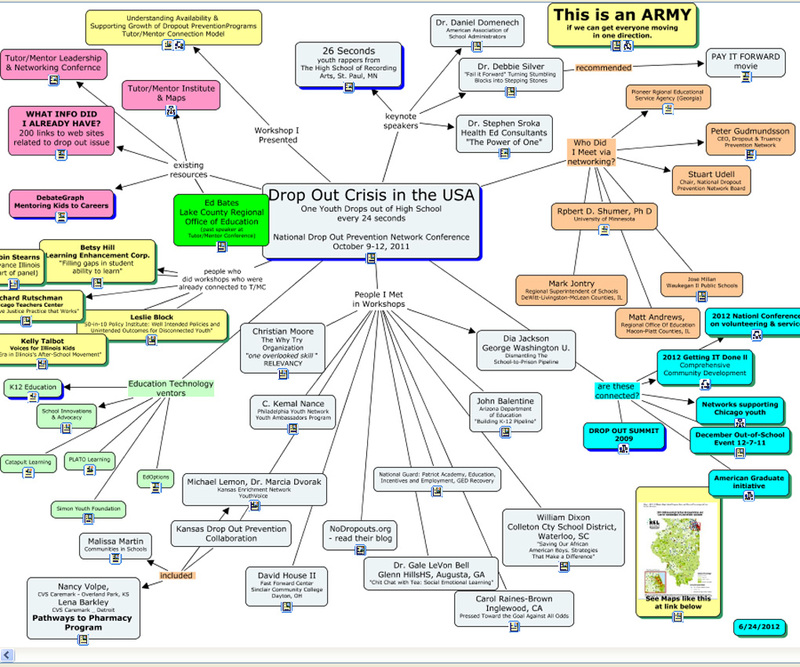 This map is one I’ve created after attending events like the National Drop Out Prevention Conference. It shows people I’ve met in workshops, at the trade fairs, and through networking --- and it provides links to their web sites. While I’ve connected with all of these people, it’s unlikely that each of them have connected to everyone else on this map. While the MENTOR Summit may have more than 500 attendees, few participants can ever connect in face-to-face learning and relationship building with more than a small fraction of the people and ideas that will be represented at the conference. MENTOR has created a Facebook page and a Twitter feed -- #NatlMentoringSummit -- to encourage people attending the conference to connect with each other. 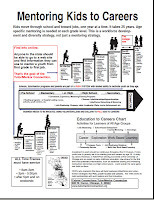 This chart is one of many I’ve created visualizing the “birth to work” pipeline and emphasizing that it takes 12 years for a youth to move from first grade to high school graduation, and then more years to move through college or vocational school. Hopefully by his mid twenties he’s found work that can become a career, with income that allows him to raise his own children out of poverty. What are all the challenges a young person faces if he grew up in poverty? What are all the challenges an organization that connects youth and adults needs to have on a continuous basis to keep youth and volunteers engaged for more years? Here’s an article showing a planning process. Here’s an article showing infrastructure needed to support on-going tutor/mentor programs. 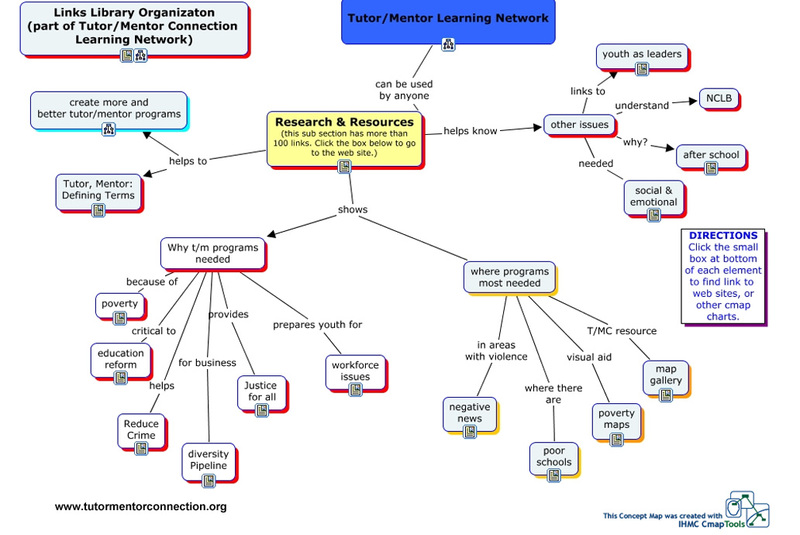 Here’s a site showing learning done by interns who have been focusing on the role intermediaries like Tutor/Mentor Connection need to take. By using maps to show where participants come from, or what issues they are interested in, or what talents and resources they have, we can show what part of the knowledge galaxy someone is from, or what part of the library they specialize in. Appying such data analysis might provide a form of navigation for anyone sailing through this ocean of knowledge and networks. We can also see what groups are not yet involved in the conversation. In most on-line discussions we have providers talking about the benefits of mentoring or tutoring, but we don’t have resource providers, business, philanthropy or government consistently involved. They are the ones who need to be working to make high quality mentoring, tutoring and learning programs available to youth in more places. 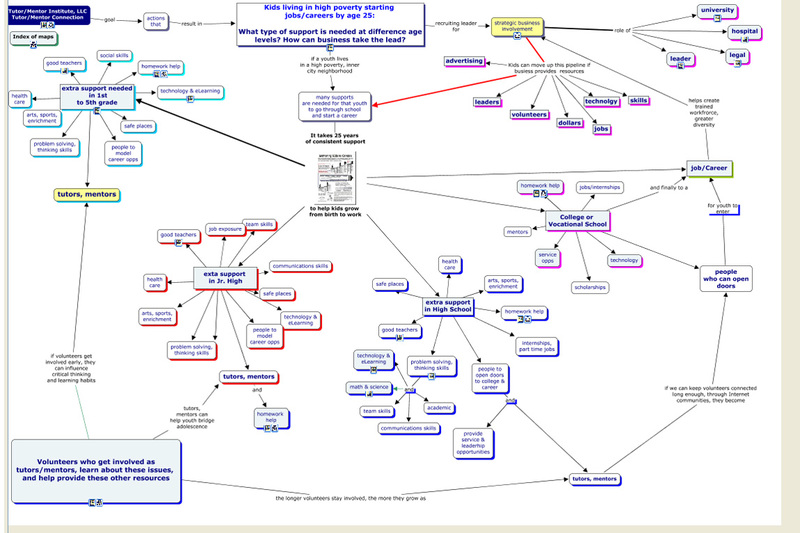 Without the network analysis it’s difficult to know if we’re getting these people involved. Without the MOOCs its difficult for busy people to expand their depth of understanding and thus grow their involvement. What do you think? Can we do this? 1) How do we mobilize people in MOOCs into volunteers, donors, leaders who work together to solve complex social problems? 2) How do we know we’re connecting people from the many different segments of business, philanthropy, government, community, etc. who need to be part of solutions to problems? 3) How do we keep people involved. I hope that through the MOOCs and conferences I attend I’ll not only find people who share the same vision and strategy, but who will use their talent to help communicate these ideas in more creative, thoughtful and meaningful ways. 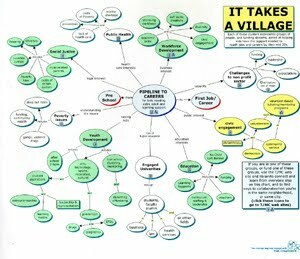 How do we turn a participation map into a “collective impact” map? I’m one more than 1600 people who have joined the Education Technology Mooc (#ETMOOC) since last Monday. I’ll be participating in the National Mentoring Summit in Washington, DC this Thursday and Friday where more than 500 people will be connected in the same building and for the same purpose. This article aims to tie the two events together. I have participated in several ETMOOC events since last Monday, including a session Sunday morning hosted by Dave Cormier, one of the first people to use the term MOOC. Visit this page to find the recording of Dave’s session, along with additional links to his ideas. As part of the #ETMOOC, participants have written more than 850 blog articles and posted over 1000 Tweets. Most of these have focused on how MOOCs enable personal learning and introduce members and their ideas to each other. You can follow what you want. You can spend as much time reading blogs and taking part in live sessions as you want. You can share your own ideas and you can interact with others. Each participant controls their own learning experience. You can follow some of the blogs at this link. I’m interested in going beyond personal learning. My goal is to help build and sustain networks that use their learning, and the network, to innovate new ways to solve complex problems. 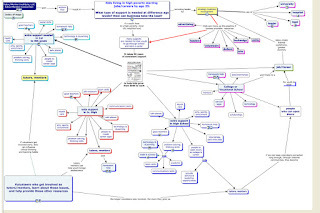 The ETMOOC network analysis map shows “who’s involved” based on history of participation. If you’ve followed previous articles on this blog you can see how I’ve been trying to map participation in Tutor/Mentor Conferences, the Ning group, and my Facebook and Linked in groups. You’ll see how I focus on actions that grow the network, while growing the composition of the network at the same time. If we agree that It Takes a Village to Raise a Child, we need to get the business community strategically involved. With this post I hope stimulates a couple of different streams of thought. 1) How do we connect people participating in MOOCs with places where they become volunteers, donors, leaders who work together to solve complex social problems? 2) How do we know if people from all sectors – e.g. business, philanthropy, government, community, religion, youth, etc. – are participating in our MOOCs or community of practice? 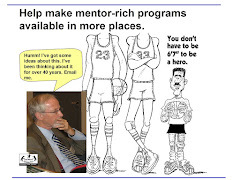 When I started the Tutor/Mentor Connection in 1993 I could have just focused on sharing ideas I had developed since 1975 when I first started leading a volunteer-based tutor/mentor program in Chicago. However, I did something different. I made a commitment to try to collect, organize and share experiences of others involved in this work. My goal was to collect “all that was known” about volunteer-based tutoring/mentoring, where such programs are needed, why they are needed, what it takes for them to have long term impact, how to support them, how to connect business and philanthropy to them, etc. This represents a vast library of knowledge and literally millions of people. 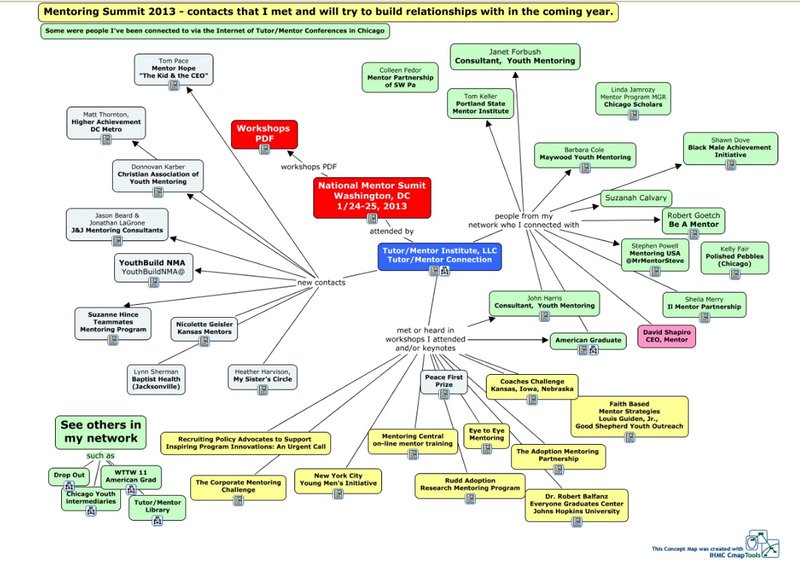 I’ve used Concept Maps to diagram my strategies, and the sections of my library. 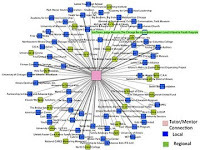 The diagram below shows the research section of the Tutor/Mentor Connection links library. If you click on any of the nodes you’ll go to a specific section of the web library which points to a variety of web sites with information related to that topic. Many of the web sites I point to have similar lists of web sites they point to. The collective knowledge that this represents is constantly expanding. Every time I’m in a conversation, conference, or MOOC, I add sites I’m interested in to the library, which makes them immediately available to anyone else who visits the site. There’s an entire section of links in the Library to Knowledge Management articles, which is what I’m doing. 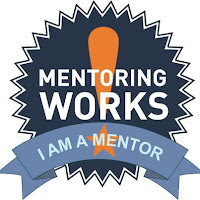 By participating in ETMOOC and events like the Mentor Summit I hope to connect with others who will help with this process. I hope to find partners who will help organize future “tutor/mentor” MOOCs that draw people from the many different sites in my library into an on-line community that offers all of the personal learning and relationship building values that Dave Comier is describing in his presentation. I hope to focus on strategies and actions that make mentor-rich programs available in more of the neighborhoods where they are most needed. As that is happening, network analysis can show who’s participating and geographic maps can show what parts of the geography are represented. 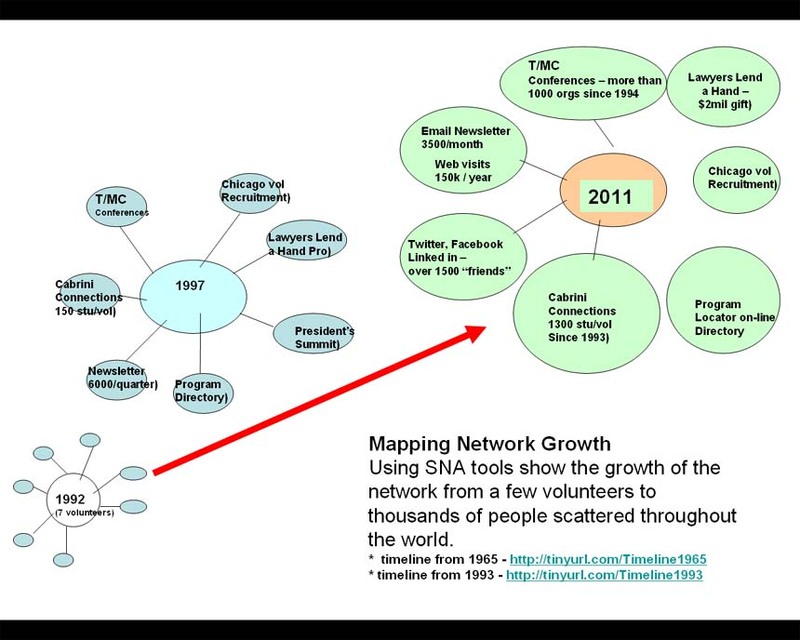 Such maps could demonstrate the growth of the network over a period of years, while enabling people from different sections of the library and/or different parts of the country or a big city like Chicago, to connect more easily with each other. In one of the ETMOOC blogs I read last week the author told of how he feels others do a much better job of communicating ideas than he does. Then one day someone said “gee that’s really unique”. I think others can communicate what I’m describing far better than I can. That’s one role interns have been taking. You can see some of their work here. I’ll write more about this tomorrow before I head to the airport. I think this post is long enough already. I’ve been part of an Education Technology MOOC (#ETMOOC) this week where more than 1000 people from around the world are connecting on-line and sharing ideas about uses of technology in education, learning, media and network building. I’ve been trying for the past 20 years to build this type of learning community, connecting all of those who are concerned with the gap between rich and poor in America, the education system, workforce diversity, social justice, violence, public health, and a number of other reasons to be involved. Some people talk about the "village" it takes to raise kids. I write about it and try to bring members of the village together. I started leading a volunteer-based tutor/mentor program in 1975 (see history) while I held a full time job with the Montgomery Ward company. While our program grew to include over 300 pairs of youth and volunteers by 1990, funding was not an issue because all of the leaders were volunteers. However, in 1990 when I converted this program to a 501-c-3 non profit and needed to raise money to pay salaries for myself and others to stay involved, the funding of non profits began to become a real issue. Over the years I’ve aggregated a wide range of personal frustration on the challenges small non profits face in finding consistent operating funds, and I’ve built a library of articles that show how others think on this topic. I illustrate my thinking visually so let me show some maps that I think many of you will find interesting, and useful. 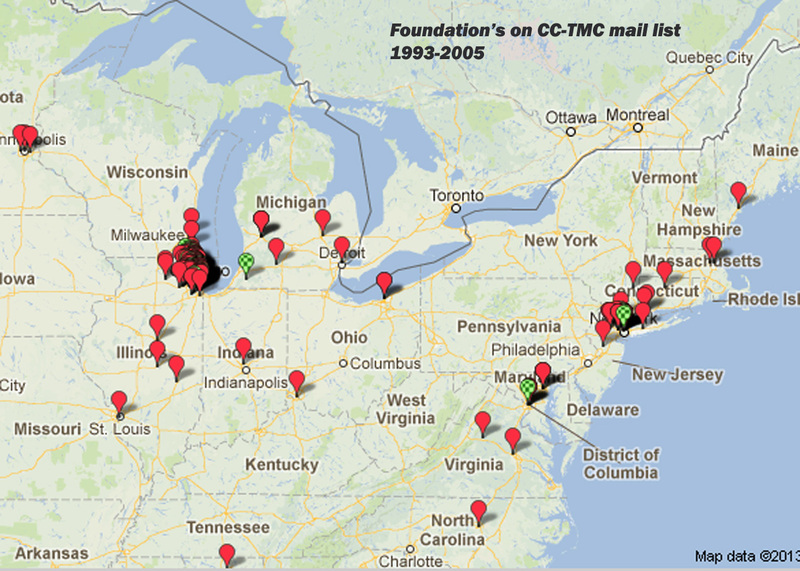 This is a map showing nearly 400 foundation (corporate and private) in the Chicago region and Eastern part of the United States who I put on my mailing list between 1993 and 2005. 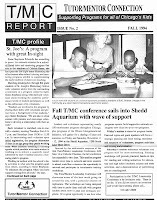 Every year I send copies of my printed newsletters to these people, showing why tutor/mentor programs were needed and what I was doing as a direct service provider, and as leader of the intermediary Tutor/Mentor Connection. 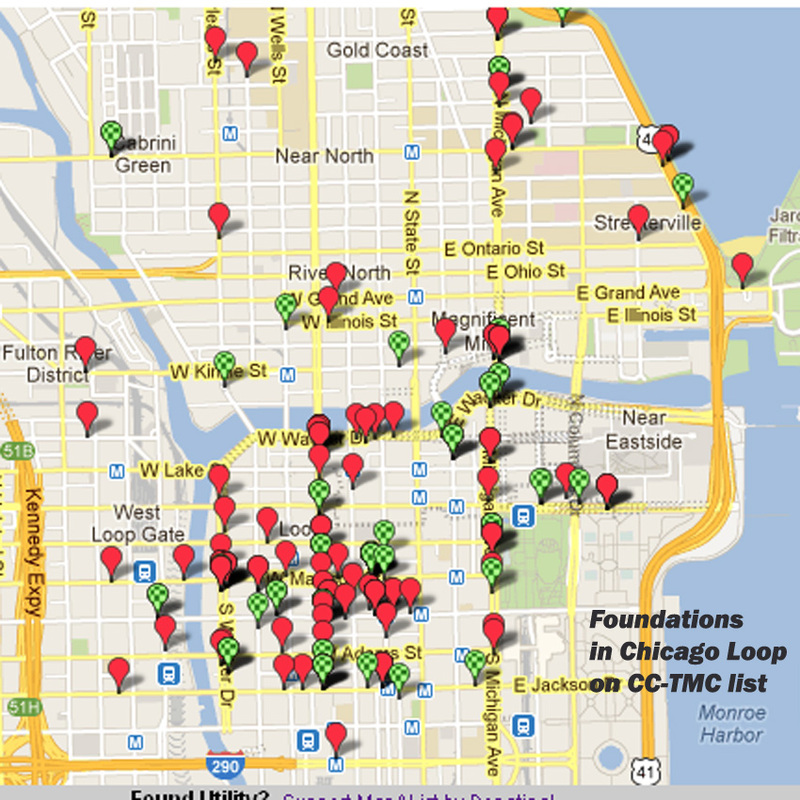 The green icons on the map are foundations that funded my organization at least one time. Few funded me more than 2-3 years in a row. Some, like Montgomery Ward, funded me for seven consecutive years, then went out of business, and thus were not able to continue their support. None of the grants was larger than $50,000 and most were in the $1,000 to $10,000 per year range. Some were for general operating expenses, which I could use flexibly to build the organization, while many focused specifically on activities of the Cabrini Connections direct service program or the Tutor/Mentor Connection. In total I raised more than $6 million between 1993 and 2011, with a peak of $500,000 in 2000. This money split with 40% funding the Cabrini Connections direct service program, 40% the Tutor/Mentor Connection, and 20% funding operating and fundraising expenses. With no multi-year commitments, each year since about 1998 I started from zero in raising $300 to $400,000 from a wide range of donors. This map shows a close up of the Chicago region so you can get a better sense of how many foundations I was reaching out to. My organization never had more than 3 or 4 people on staff, and never had a full time professional development officer. I was CEO, chief innovator, chief marketing officer, newsletter writer, grant writer, janitor. Yet every year I was challenged to write letters of introduction, letters of inquiry, grant requests, grant reports, each with different requirements and different questions. Yet we all were focused on helping expand the network of non-school hours support for inner city kids. By 1998 I was using web sites to show the work I was doing and what I was trying to do. This map shows the Chicago LOOP area. and what knowledge was available to community leaders, business and foundations so they would work to build programs that would provide more mentoring, tutoring, learning opportunities. Visit this Map Gallery to see a collection of maps created in the past. This week I attended a Dr. Martin Luther King, Jr. celebration at the University of Chicago, where panel members were asked to talk about their experiences with mentoring. I handed out business cards to each of the participants and said “Let’s find ways to change this.” I share these ideas on my blog, and in MOOCs so that people in more places will come together to find ways to support the growth of mentor-rich programs in more places where they are needed. 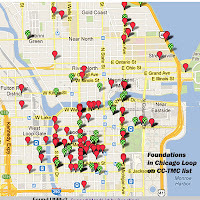 I host a Chicago Tutor/Mentor Program Locator with maps that show where tutor/mentor programs are needed. Why can’t leaders in these foundations use my maps, or similar directories, to adopt neighborhoods, then adopt tutor/mentor programs in those neighborhoods and make long-term commitments to help each program become the best in the world by borrowing ideas from each other and using a constant flow of operating/innovation dollars and volunteer talent to implement these ideas. Here’s an interactive version of the map of foundations. You can enlarge the map and zoom in and see the name and location of each. Some no longer exist since this list was last updated in 2005. With more than 200 youth serving organizations in Chicago offering various forms of tutoring, mentoring and non-school support, we can have 200 development officers and/or Executive Directors reaching through this list to find foundations who will give them funds each year, which is a tremendous redundancy. Or we can build strategies that educate and motivate donors and business partners to reach out and build proactive support systems for tutor/mentor programs in neighborhoods that need such programs. We can discuss ideas like this in face to face events, like the May and November Tutor/Mentor Leadership and Networking Conferences. We can also connect in on-line events like the Education Technology MOOC. We can do both. We can do better. It's been a busy week. I've continued to reach out to people who are involved in volunteer-based tutor/mentor programs, or who could support the growth of such programs with their time, talent, dollars, etc. I've also continued to expand my own knowledge and network by participating in the EductionTechnology MOOC, the JellyWeek event, and my Facebook, Linked In and Ning networks. I even made time to create a January newsletter and send it out to about 3000 people (only 12-16% will open it). 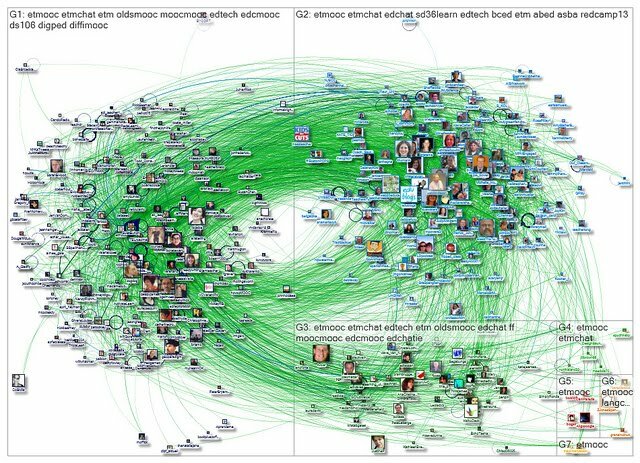 I participated in a couple of Blackboard Collaborate Sessions hosed by the ET MOOC and I've been following the Twitter chatter on #etMooc. There's also a Blog Hub, aggregating blogs posted by participants. As one writer said, "it's frustrating because there is so much info and too little time." If you don't know what a MOOC is, this "What is a MOOC?" article is useful. I'm participating in these as part of my efforts to connect with others who share the same goals and strategies for making k-12 volunteer-based tutoring, mentoring, learning and career focused programs available to youth in more places. At any given time I'm connected to a diverse base of people from all parts of the world. 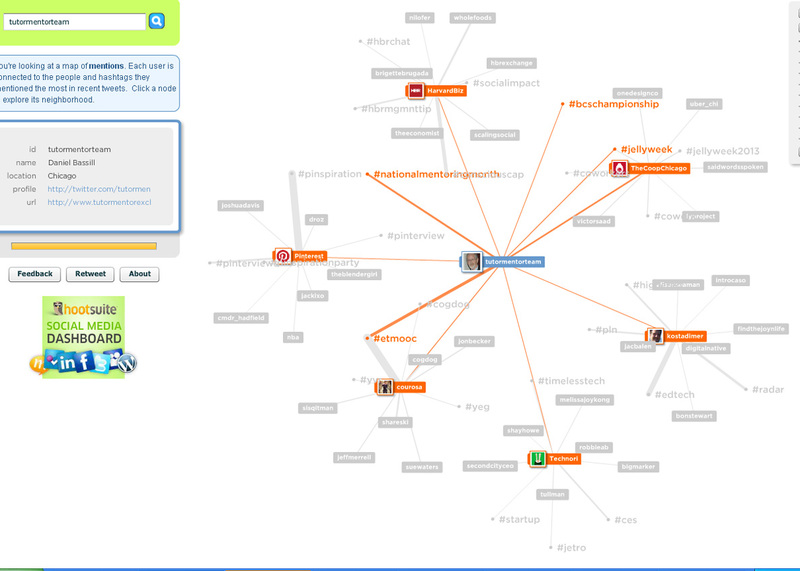 This Twitter Mention Map from yesterday visualizes who I was connecting with on Twitter. 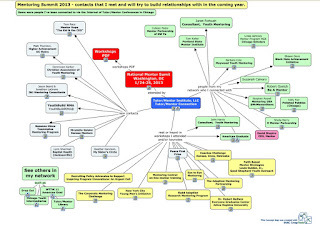 You can see from this map that while I'm learning from these events, I'm also connecting people I know to others who they might want to know or learn from. My hope is that I can find help from people in the mentoring, tutoring world who will want to organize MOOCs focused on building and sustaining mentor-rich programs in more places, drawing from articles that I've written, research that others have generated, and ideas from many people in many places. The MOOCs are free and you can participate at your own pace, learning what you want, when you want. This is a long-term learning process not something that you can master in a day or a week. I hope to see you on-line. I've posted numerous articles about MOOCs (Massive Open Online Courses) in the past year or so. These are on-line, no-cost, events that connect thousands of people from many parts of the world with ideas of people also from around the world. These are part of a larger category of articles under the heading of LEARNING and NETWORK BUILDING. Education Technology and Media which you can read about here. I'll also be participating for the second week in the international JellyWeek event, organized by friends on Facebook and connecting more than 200 groups around the world. While I'll be interacting on-line and on Twitter, I'll also try to attend events hosted by The CO-OP, here in Chicago. Finally, I'll also plan to connect with my Webheads friends in the EVO (Electronic Village Online) event. You can see the schedule here. One event that I'm definitely going to try to take part in is the Sun, Jan 20, 2013 - 14:00 GMT event where Dave Cormier discusses cMOOC and MultiMOOC, connectivism, and openness in learning. One of my long-term goals is to connect leaders, volunteers, youth and supporters of volunteer-based tutor/mentor programs, along with people focused on violence prevention, public health, workforce development, education, diversity, etc. in a year-round schedule of MOOCs that not only share ideas, but lead to actions that increase and distributed resources needed in every high poverty neighborhood in order for constantly improving mentor-rich organizations to exist. I'd particularly like to find partners and sponsors to build an on-line MOOCS in the May-June, Aug-Sept and Nov-Dec time frames which are time frames when I host conference in Chicago and support Back-to-School Volunteer Recruitment efforts in the fall. My Twitter handle is @tutormentorteam so I hope that during the coming weeks I'll connect with many of you and your own networks as you join in these MOOCs. Over the past couple of year’s I’ve seen statements from several different organizations saying “100% of my seniors graduated from high school”. Some added “and went to college”. 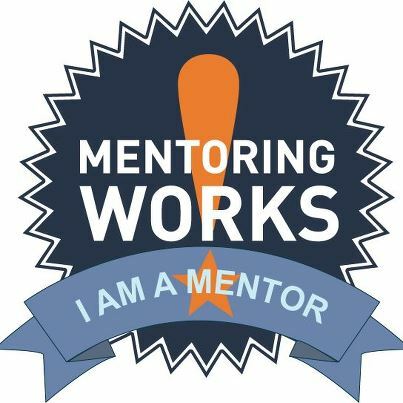 As we head to the National Mentoring Summit and beyond through the rest of 2013, I encourage programs to talk about this topic in blogs, social media and webinars. 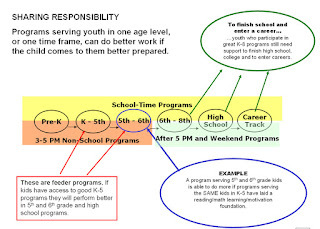 I encourage you to apply graphics like this (seem more here) to show what age range youth are when they join the program, and what retention they have from year to year, as well as what number then graduate and enter college as a result of the support a program and its volunteers provide. It would be great to see MENTOR or other leadership groups take on this topic. This is also something that can be discussed in online forums such as the ones I host at http://tutormentorconnection.ning.com and on Linked in and Facebook. I've just found a simple tool to use to map participation in an event. 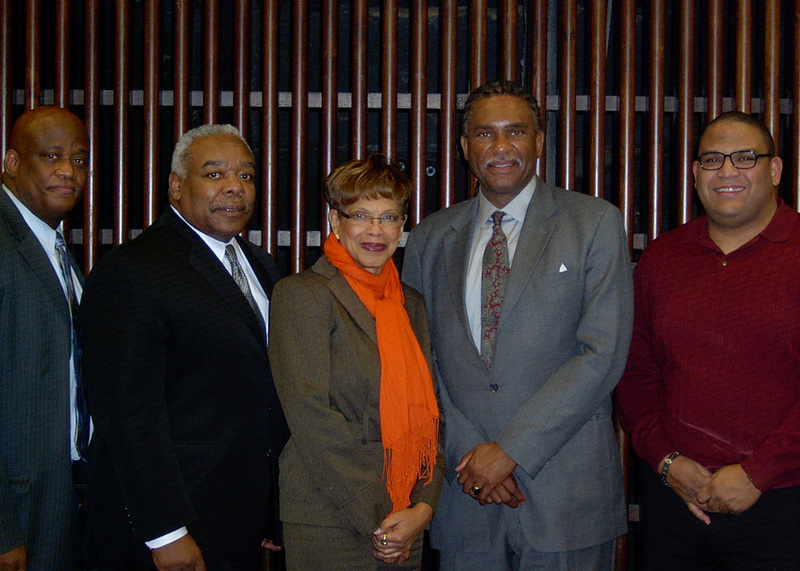 This shows the people who attended the November 2008 Tutor/Mentor Leadership and Networking Conference held in Chicago. I've been hosting these since 1994 but have not been able to attract consistent funding or sponsorship from business, foundations or city of Chicago leaders (political or public schools). 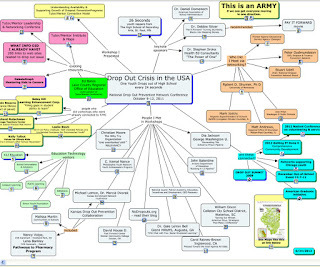 I've been trying to create an mapping and analysis capacity for many years. Today I learned about a free application called MapAList, which I used to create the above map in less than 20 minutes! Over the next few months I'm going to try to map participation of all past conferences. I'd like to find volunteers, interns, etc. to help. In addition, I'm hosting the next conference on June 7, at the Metcalfe Federal Building in Chicago. I'm looking for sponsors, speakers, partners, etc. Join the Tutor/Mentor Forum Conference planning group or email me at tutormentor2@earthlink.net if you'd like to become involved. During January National Mentoring Month a variety of national events will attempt to draw greater attention to mentoring strategies in different cities and states. Visit the Mentoring Month web site and see a list of 10 things you can do to support mentoring. Then take a look at this graphic and past articles I've written about National Mentoring Month. 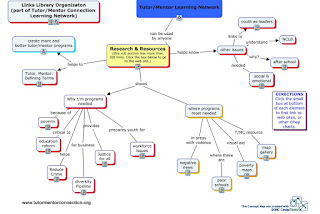 Start a discussion in your company, faith group, family and social network, using maps like this to focus attention on all of the high poverty neighborhoods where mentor-rich programs are needed to help youth connect with people, ideas and opportunities beyond what is available in their own community. Start a discussion about ways you can help raise dollars and recruit talent to support programs throughout the city, or in different zip codes. While there are some really great and well known programs, even the largest only serve a small fraction of all of the k-16 youth in Chicago or any other city who need such programs in their lives. While we need to recognize and celebrate the role mentors are taking, we need to think of ways to support the infrastructure that enables long-term connections of mentors and youth to take place. General Powell does a great job as spokesperson for Mentoring. Let's help him build the logistics needed to make great mentoring programs available in more places. During January start this discussion. Keep it going throughout the year. Next January celebrate what you have accomplished and build new activities to add greater support in 2014.